Rosa Rubicondior: Anti-Atheists Tend To Have Low IQ! Psychologists find correlation between low IQ and anti-Atheist prejudice. Answering Unresolved Questions About the Relationship Between Cognitive Ability and Prejudice. Americans who are prejudiced against Atheists tend to have a lower than average IQ, according to research published in the Journal of Social Psychology and Personal Science a couple of weeks ago. ...the researchers found that people with both relatively higher and lower levels of cognitive ability show approximately equal levels of intergroup bias, but towards different sets of groups. People with low cognitive ability tended to express prejudice towards groups perceived as liberal and unconventional (e.g., atheists, gays and lesbians), as well as groups of people perceived as having low choice over group membership (e.g., ethnic minorities). People with high cognitive ability showed the reverse pattern. They tended to express prejudice towards groups perceived as conservative and conventional (e.g., Christians, the military, big business). According to the press release, the correlation between low cognitive ability and prejudice is consistent with earlier findings which show a similar correlation between the personality trait for openness to new experiences and prejudice. Those low on the scale for this trait tend to be more prejudiced. The research also showed that people high on the cognitive ability scale are not free from prejudice either but their prejudices tend to be against conservative, conventional and powerful groups. In short, those with high verbal reasoning and cognitive skills tend to be anti-religion; those with low reasoning and cognitive abilities tend to be anti-atheist. This is probably obvious to anyone who spends much time trying to debate with fundamentalists on the social media. 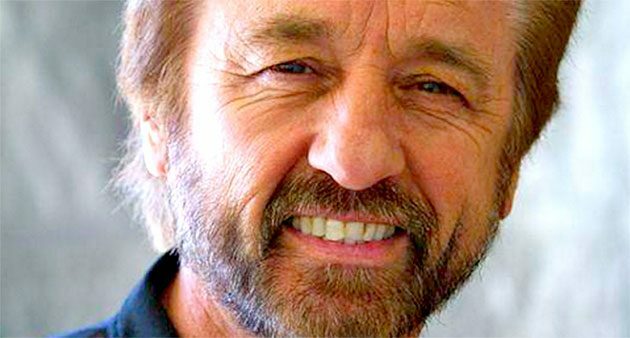 The photo here of Ray Comfort, a well know christian apologists and street preacher, surely he has his problems with critical thinking and cognitive capabilities, but he has no problems separating money from those he wishes to fleece. Conversely they absolutely stand in line to be sheared, which goes back to the handicap of low cognitive ability, the perfect storm, as it were. In short, those with high verbal reasoning and cognitive skills tend to be anti-religion; those with low reasoning and cognitive abilities tend to be anti-atheist. Least surprising research result ever. And yes, it does reflect experience. Hal Barbour: Being a successful con man does require a particular set of talents, but high intelligence doesn't seem to be among them. Another example would be Donald Trump. If you spend any time debating with 'anti-atheists' it quickly becomes apparent that the cognitive ability of some of these folk is akin to a moronic sea-slug. Thus making the whole enterprise frustrating and pointless. To be fair to sea-slugs, they've never been shown to believe in magic or been seen talking to an imaginary friend and blaming it for their behaviour! But why are you so cautious, Rosa? You wrote: "This is probably obvious to anyone who spends much time trying to debate with fundamentalists on the social media." Probably obvious? It IS indeed very obvious, Rosa! Why so doubtful about that?